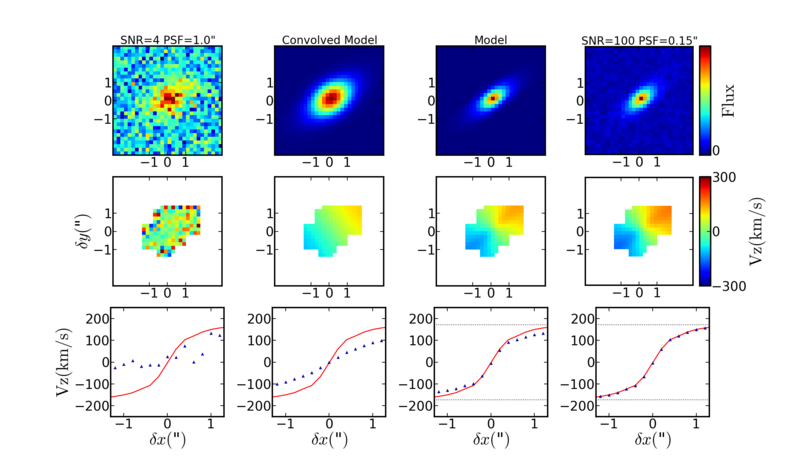 GalPaK 3D is a tool to extract Galaxy Parameters and Kinematics from 3-Dimensional data, using reverse deconvolution with the Bayesian analysis procedure Markov Chain Monte Carlo. If you use GalPak3D in a publication, please cite Bouche et al. 2015 and link to the ACL entry http://www.ascl.net/1501.014 Please also send me a reference to your paper. adjust the MCMC algorithm with the option random_scale (lower than 1 [default] for higher acceptance rate and vice versa) to ensure an acceptance rate of 30 to 50%.